When it comes to the pain of losing those we love, many of us feel no difference between our four-legged friends and our human ones. A companion who has been there through all of life’s hardships deserves a sendoff that celebrates the joys as well as the sadness. Of course, that doesn’t mean finding the right sympathy message for a pet is easy. Although many of the same kinds of messages (I’m sorry for your loss; Thinking of you during this difficult time) are appropriate, you may want to go above and beyond to personalize your sympathy card message. Here are a few options to help you find the perfect words to say. Our deepest sympathies for your loss. We know how important ________ was in your life and in your heart. We are so sorry to hear about your loss. ________ was a joy to all who had the privilege of knowing him/her. Our thoughts are with you during this difficult time. No one will be able to replace ________ in our hearts. Extending our sincere sympathies to you and your family. ________ was so much more than a dog—he/she was a true friend, and will be missed. Treasured friends are never fully forgotten. Thinking of you and your loss. ________ will be greatly missed. He/she offered so much joy and happiness to all of us. Best friends come in all shapes and sizes, and ________ was one of the best out there. Although nothing we can say will ease the pain of ________’s passing, we want you to know that we’re thinking of you and wishing you all the best. ________ was a true friend, and we know his/her loss isn’t easy. Please take care of yourself during this difficult time. We will always remember how much joy ________ brought into everyone’s life. ________ was a beautiful dog and a great companion. We will always miss him/her. You lost a true and treasured friend today, and we mourn your loss with you. ________ was a joy to be around, and we will miss the sounds of his/her happiness at being a part of your life. 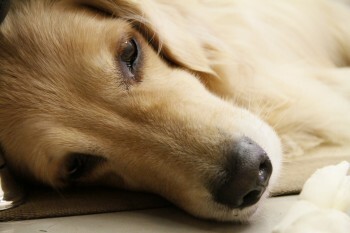 We share your grief in losing a faithful friend and loyal companion. At first they need us, and then we need them. Your loss affects us all. Above all else, be sure and reinforce the importance of the animal’s life—and how profoundly his or her loss can affect the bereaved. Because the loss of a pet is often regarded as less than or not equal to the loss of a human, it can be hard to find sympathy. Your expression and gesture will mean so much in helping your friend begin to find comfort again.